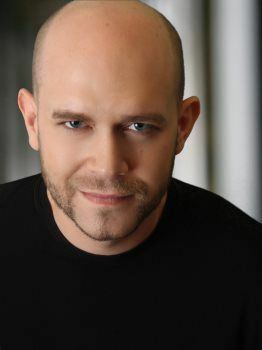 Baritone Opera Singer Robert Kerr - Alpha Artists Management, LLC. Recent and upcoming: he returned to Rose Theater with Maestro Atsushi Yamada and the Philharmonia Orchestra of New York in a Verdi concert and sang Pooh-Bah in The Mikado with Performance Santa Fe! ; and, was the title role in Gianni Schicchi with Opera Project Columbus. This past season Mr. Kerr was heard as Germont with the Philharmonia Orchestra of New York at Lincoln Center; and sang the King in Aida with Opera Columbus. This season Mr. Kerr sings solo engagements with the Hudson Valley Philharmonic, the Ohio Song Project and Denison University. In addition he participates in Opera Columbus's world première of The Flood by Korine Fujiwara with libretto by Stephen Wadsworth; is soloist in Mozart's Requiem with Philharmonia Orchestra of New York; and is the title role of Rigoletto with Opera Projects Columbus. Robert Kerr returned to Japan for engagements in performances of Requiem by Minoru Miki in Natori and reprising the work at Rose Theater at Lincoln Center. He was the Germont in La traviata with the Arroyo Foundation; concerts with the Columbus Symphony; covered the role of the King in El Gato con Botas with Gotham Chamber Opera; was soloist with the New York City Opera Orchestra in a Japan tour of Carmina Burana and sang Tonio in Pagliacci with Opera Columbus. Other engagements include his appearance at the Kennedy Center Honors along with Sondra Radvanovsky and Joseph Calleja in an Aida tribute to honoree, Martina Arroyo. He sang the title role of Falstaff with the Martina Arroyo Foundation’s “Prelude to Performance” with Willie Waters conducting and was engaged with the Lancaster Festival in Ohio. Mr. Kerr was Sharpless in Madama Butterfly with Opera Columbus and made his Indianapolis Opera debut this season as Peachum in The Threepenny Opera. He sang Pooh-Bah in The Mikado with Sinfonia da Camera in Illinois and was soloist with the ProMusica Chamber Orchestra in Mozart’s Große Messe in c-Moll; he reprised the role of Peachum with Amarillo Opera. He has appeared in summer stock with The Barn Theater and Huron Playhouse; and in past productions with the University of Cincinnati College-Conservatory of Music’s Opera Theater and the Music Festival of Lucca, Italy. For three seasons he was a member of the Glimmerglass Opera where he participated in the Young American Artists program. In addition, he was a member of San Francisco Opera’s Merola Opera Program where he received advanced training. "Robert Kerr, the baritone singing the role of Germont evinced a full rich voice and did justice to his character and his emotional shifts. His Act II arias bore intense charges. His shame for his son in Act III was palpable. When he embraced Violetta as his daughter in Act IV, we could literally feel his remorse."